Australian cricket's new-found dedication to performance has uncovered another area to seek a competitive edge, with England's Dukes ball to be used down under to better prepare players for its subtleties on next year's Ashes tour. Known for offering decidedly different characteristics to the Australian Kookaburra ball, the Dukes will be be trialled in the under-age championships and a handful of second-XI games during the summer. If they stand up to the rigours of firm Australian pitches, they are then likely to be used in some late season Sheffield Shield games. There are also plans afoot for stocks of India's SG ball to be brought to Australia for similar exploratory use, in order to aid the knowledge of Australian players when they deliver it on the subcontinent. Understanding and taking advantage of the differences inherent in each ball is traditionally something players must develop upon arrival at an overseas destination, but Cricket Australia's plans may help to build greater familiarity and ultimately skill. "The medium to long-term view is we want our Australian players using different balls in our competitions to help them prepare for international tours where the Kookaburra ball is not used,'' CA's senior cricket operations manager Sean Cary told The Age. "The idea is not going to be just to focus on the Dukes ball in England. Ideally, we'd like to introduce the different makes of balls from countries if they differ from Kookaburra. The use of English and Indian cricket balls may be considered a way of enhancing the preparation of the national team in an era when warm-up tour matches have become an increasingly rare proposition. Australian bowlers have struggled to replicate the kind of movement generated by their English and Indian counterparts on recent Test tours, having not won a series in England since 2001 and India since 2004. Cary admitted there was also a cost-saving measure to the use of overseas balls, which are cheaper than the Australian-made Kookaburra. 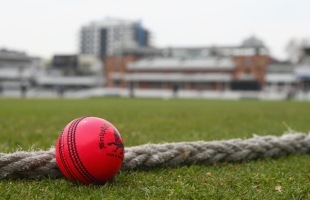 The local manufacturers are concerned that their long-standing relationship with Australian cricket will be terminally undercut if the use of overseas balls becomes standard practice. "If we are not supported by cricket in Australia then Kookaburra won't exist basically," Kookaburra director Rob Elliott said. "If Cricket Australia and if cricket's not supporting Kookaburra and wants to go down the imported path, then the manufacturing of cricket balls will go to the subcontinent and it will be the end of Kookaburra as we know it." "I thought it would be appropriate for us to be using the only Australian made ball as opposed to a ball that's made in the sub-continent in Pakistan or India. That's the thing that concerns me is that all of a sudden this sort of thing erodes Australian manufacturing and Australian jobs."